Its an okay car, Wasnt really huge on it when it was released or know, But ive always loves the sound it made, Specially with a nice aftemarket exhaust., Ive herd the interior, once your settled into it, Is nice n snug, Almost like a somewhat tight bed, Atleast from a few of my older teachers. But given the era, Id rather have a 288 GTO, YellowBird and a few others. 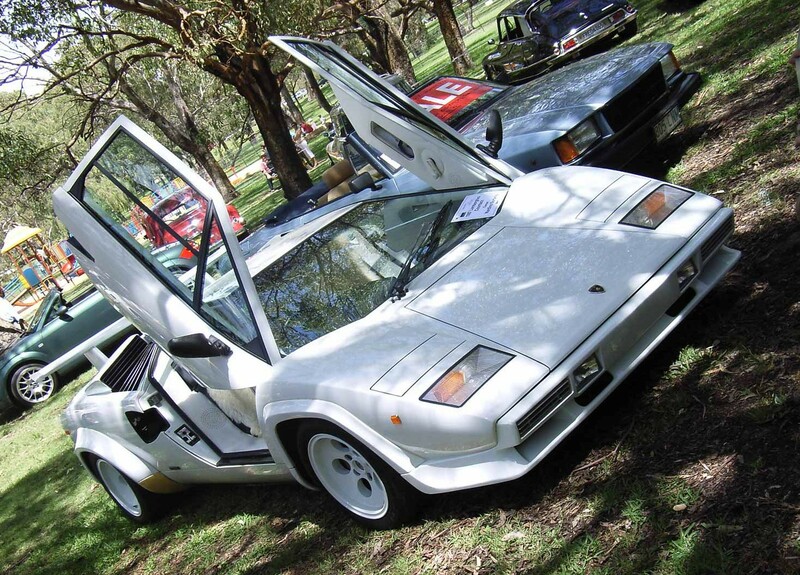 Several years ago I've seen Countach 25-th and Murcielago in close. 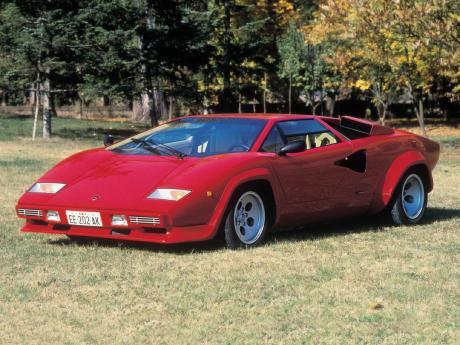 Countach looked so wild and aggressive, Murci was like a puppy next to it. Veyrons use like 365 right? Sorry that is incorrect,Well atleast for today, Maybe for the 80s it was. @BR2+: The widest rear tires of any production car. t still looks futuristic today, Sorta like a Mad Max kinda way, Was never a big fan of this, But they sound good, ENORMOUS tyres these things had, 215x345...Ford the 80s! 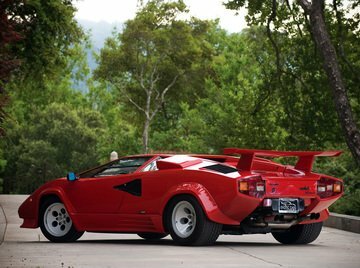 The Lamborghini Countach was the last production car with carburetors. 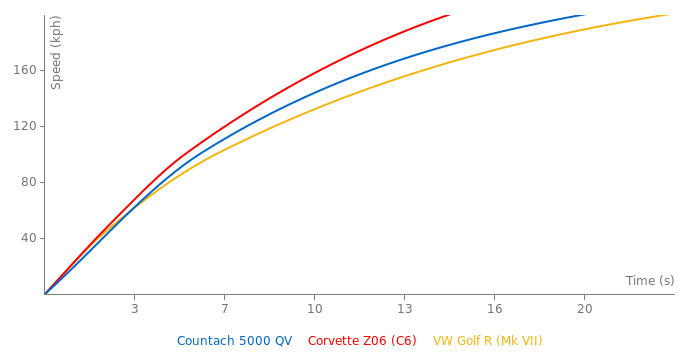 It also shows a photo of a magazine test where this car achieved much better acceleration times than are shown here. Super hi-tech looking back in the 80s,but also much more than just looks,the car is great.